Camping tents with separate rooms are the ideal style tent for family camping or camping with friends. Kids can have their own room. A separate tent room can be set up for dining or games in inclement weather. 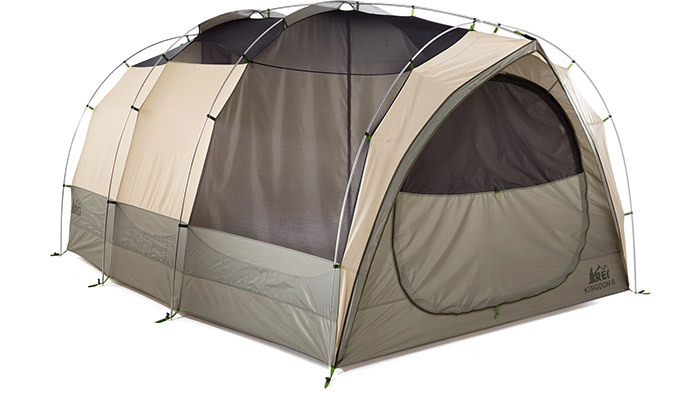 Tents with more than one room give you the capability of better organizing your living space and gear. They can provide an area for reading or just a few moments of privacy that may be welcomed on even the most compatible family or group camping trip. 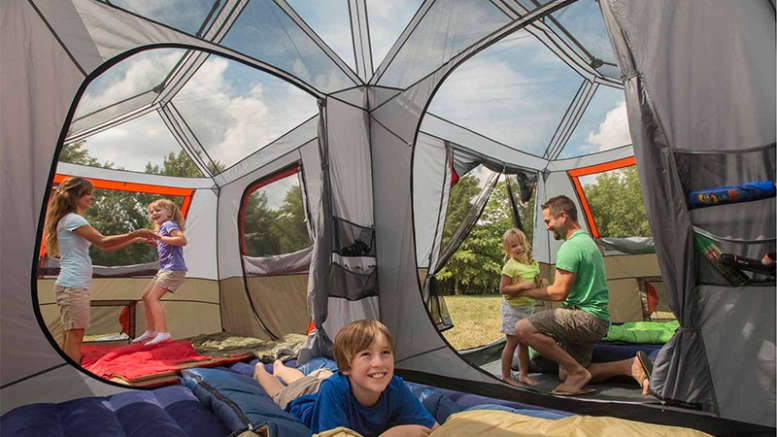 Here are five of the best and most popular family camping tents with rooms. 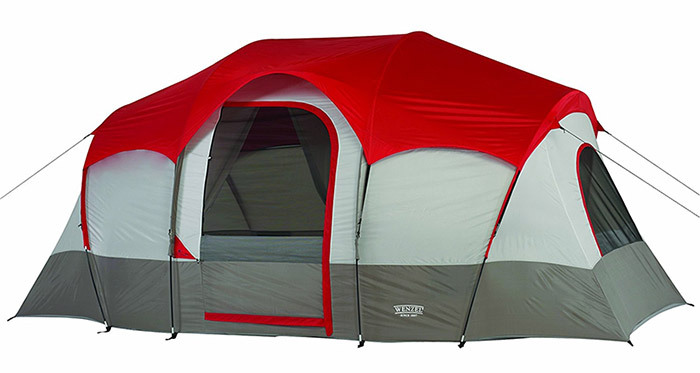 This spacious Coleman 8-person Tent comes with a removable divider between rooms. It has room for two queen-size air beds. Two doors provide easy entry and exit. Seven large screened windows give the tent excellent visibility and ventilation. A separate rain fly incided with the tent provides rain protection even in a downpour. The “Instant” part of the name refers to the fact that setting up the tent is easy and takes just a few minutes. The Big Agnes Flying Diamond 6-person tent has a fabric wall that separates the tent into two rooms. When not in use the wall can be removed and stored out of sight. The tent has 2 mesh doors that can be left open for full ventilation or zipped up completely for protection against cool weather and rain. This is a four season, free standing tent. The tent body is breathable polyester ripstop. The floor is polyester with heavy waterproof polyurethane coating. The tent fly is polyester ripstop with waterproof polyurethane coating. 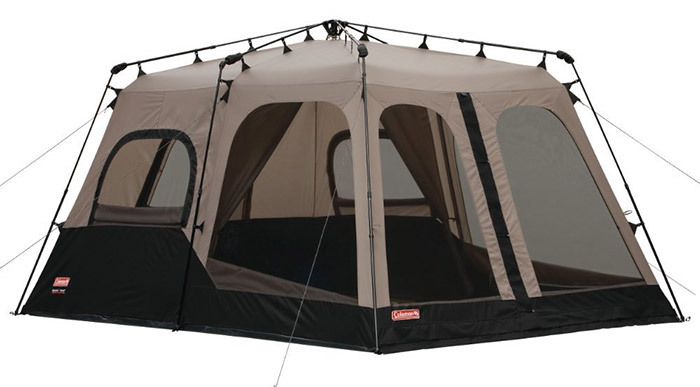 Two room dividers that come with the Ozark Trail 12 Person Tent create 3 separate living spaces. A front awning provides a protected entryway and is almost another room. The tent includes a rainfly. The Ozark Trail accommodates 4 queen size air beds. Front and back doors make it easy for campers to enter and exit the tent. Assembly is easy and takes only a few minutes. A removable divider curtain creates two separate sleeping areas in the Wenzel Blue Ridge 7-Person Tent. The tent is designed for camping with a family or group. The tent body is made of polyester. It has a welded polyethylene floor and a removable waterproof rain fly. Three zippered windows and mesh roof vents allow for plenty of airflow. It has a D-style door. Weight: 18 lbs, 2 oz. 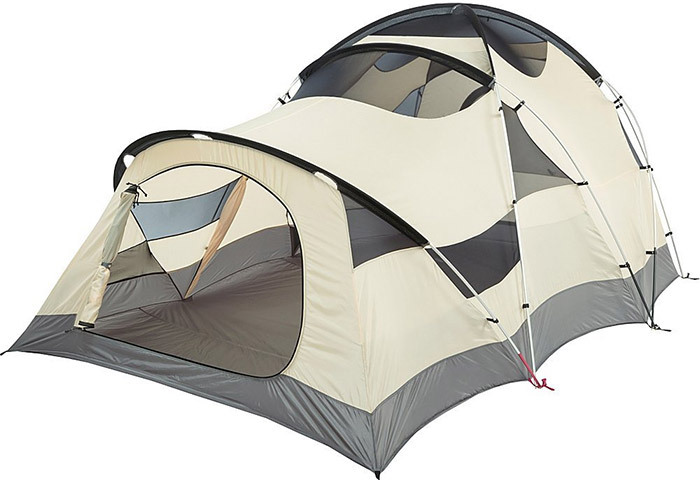 This 3-season, freestanding tent from REI, called the Kingdom 8, has a zip-in, removable center divider that creates two private rooms for organizing your living space and your gear. The tent’s near vertical walls and the rectangular floor plan, plus interior storage options, maximize the tent’s usable space. An optional “garage,” sold separately, further increases the usable space in the tent. The rain fly can be attached to cover half or a quarter of the tent in order to maximize the view and to be available for rapid deployment in case of rain. Weight: 22 lbs, 3 oz. Be the first to comment on "Camping Tents With Separate Rooms"